I know, it’s July. 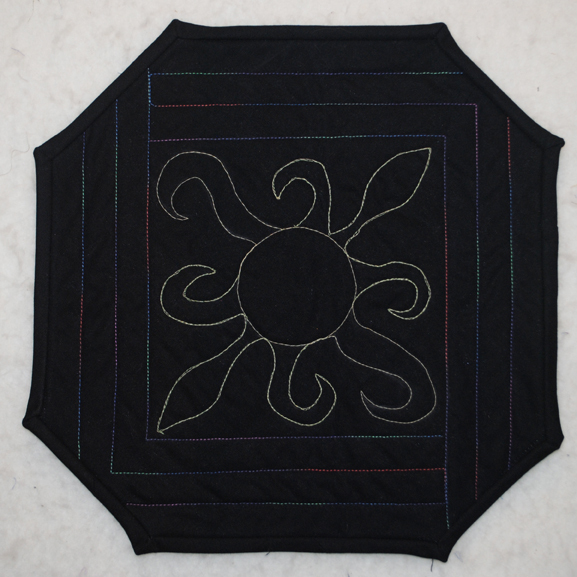 But, I just put the finishing touches on my UFO for June for the American Patchwork & Quilting UFO Challenge. This piece was a machine quilting sample from years ago that just needed a binding. It got one and now I can donate it to my guild for its mini-quilt raffle and have one fewer item in my drawer.